PMMA chambers used to measure methane and CO2 emissions in Storflaket peat bog near Abisko, northern Sweden. Arctic methane concentrations up to December 2018. A monthly peak of 1976.92 ppb was reached in February 2017. The Arctic region is one of the many natural sources of the greenhouse gas methane. Global warming accelerates its release, due to both release of methane from existing stores, and from methanogenesis in rotting biomass. Large quantities of methane are stored in the Arctic in natural gas deposits, permafrost, and as undersea clathrates. Permafrost and clathrates degrade on warming, thus large releases of methane from these sources may arise as a result of global warming. Other sources of methane include submarine taliks, river transport, ice complex retreat, submarine permafrost and decaying gas hydrate deposits. Concentrations in the Arctic atmosphere are higher by 8–10% than that in the Antarctic atmosphere. During cold glacier epochs, this gradient decreases to practically insignificant levels. Land ecosystems are considered the main sources of this asymmetry, although it has been suggested that "the role of the Arctic Ocean is significantly underestimated." Soil temperature and moisture levels have been found to be significant variables in soil methane fluxes in tundra environments. The release of methane from the Arctic is in itself a major contributor to global warming as a result of polar amplification. Recent observations in the Siberian arctic show increased rates of methane release from the Arctic seabed. Land-based permafrost, also in the Siberian arctic, was estimated in 2013 to release 17 million tonnes of methane per year – a significant increase on the 3.8 million tons estimated in 2006, and estimates before then of just 0.5 million tonnes. This compares to around 500 million tonnes released into the atmosphere annually from all sources. Shakhova et al. (2008) estimate that not less than 1,400 gigatonnes (Gt) of carbon is presently locked up as methane and methane hydrates under the Arctic submarine permafrost, and 5–10% of that area is subject to puncturing by open taliks. They conclude that "release of up to 50 Gt of predicted amount of hydrate storage [is] highly possible for abrupt release at any time". That would increase the methane content of the planet's atmosphere by a factor of twelve. In 2008 the United States Department of Energy National Laboratory system identified potential clathrate destabilization in the Arctic as one of the most serious scenarios for abrupt climate change, which have been singled out for priority research. The US Climate Change Science Program released a report in late December 2008 estimating the gravity of the risk of clathrate destabilization, alongside three other credible abrupt climate change scenarios. The water trapped in the soil doesn't freeze completely even below 32 degrees Fahrenheit (0 degrees Celsius). The top layer of the ground, known as the active layer, thaws in the summer and refreezes in the winter, and it experiences a kind of sandwiching effect as it freezes. When temperatures are right around 32 degrees Fahrenheit – the so-called "zero curtain" – the top and bottom of the active layer begin to freeze, while the middle remains insulated. Microorganisms in this unfrozen middle layer continue to break down organic matter and emit methane many months into the Arctic's cold period each year. "The results of our study indicate that the immense seeping found in this area is a result of natural state of the system. Understanding how methane interacts with other important geological, chemical and biological processes in the Earth system is essential and should be the emphasis of our scientific community,"
Further research by Klaus Wallmann et al. (2018) found that the hydrate release is due to the rebound of the sea bed after the ice melted. The methane dissociation began around 8,000 years ago when the land began to rise faster than the sea level, and the water as a result started to get shallower with less hydrostatic pressure. This dissociation therefore was a result of the uplift of the sea bed rather than anthropogenic warming. The amount of methane released by the hydrate dissociation was small. They found that the methane seeps originate not from the hydrates but from deep geological gas reservoirs (seepage from these formed the hydrates originally). They concluded that the hydrates acted as a dynamic seal regulating the methane emissions from the deep geological gas reservoirs and when they were dissociated 8,000 years ago, weakening the seal, this led to the higher methane release still observed today. A 2015 study concluded that Arctic sea ice decline accelerates methane emissions from the Arctic tundra. One of the study researchers noted, "The expectation is that with further sea ice decline, temperatures in the Arctic will continue to rise, and so will methane emissions from northern wetlands." A 2014 study found evidence for methane cycling below the ice sheet of the Russell Glacier, based on subglacial drainage samples which were dominated by Proteobacteria. During the study, the most widespread surface melt on record for the past 120 years was observed in Greenland; on 12 July 2012, unfrozen water was present on almost the entire ice sheet surface (98.6%). 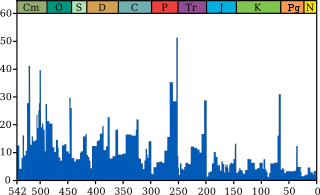 The findings indicate that methanotrophs could serve as a biological methane sink in the subglacial ecosystem, and the region was, at least during the sample time, a source of atmospheric methane. Scaled dissolved methane flux during the 4 months of the summer melt season was estimated at 990 Mg CH4. Because the Russell-Leverett Glacier is representative of similar Greenland outlet glaciers, the researchers concluded that the Greenland Ice Sheet may represent a significant global methane source. A study in 2016 concluded that methane clathrates may exist below Greenland's and Antarctica's ice sheets, based on past evidence. Sea ice loss is correlated with warming of Northern latitudes. This has melting effects on permafrost, both in the sea, and on land. Lawrence et al. suggest that current rapid melting of the sea ice may induce a rapid melting of arctic permafrost. This has consequential effects on methane release, and wildlife. Some studies imply a direct link, as they predict cold air passing over ice is replaced by warm air passing over the sea. This warm air carries heat to the permafrost around the Arctic, and melts it. This permafrost then releases huge quantities of methane. Methane release can be gaseous, but is also transported in solution by rivers. New Scientist states that "Since existing models do not include feedback effects such as the heat generated by decomposition, the permafrost could melt far faster than generally thought." There is another possible mechanism for rapid methane release. As the Arctic Ocean becomes more and more ice free, the ocean absorbs more of the incident energy from the sun. The Arctic Ocean becomes warmer than the former ice cover and much more water vapour enters the air. At times when the adjacent land is colder than the sea, this causes rising air above the sea and an off-shore wind as air over the land comes in to replace the rising air over the sea. As the air rises, the dew point is reached and clouds form, releasing latent heat and further reinforcing the buoyancy of the air over the ocean. All this results in air being drawn from the south across the tundra rather than the present situation of cold air flowing toward the south from the cold sinking air over the Arctic Ocean. The extra heat being drawn from the south further accelerates the warming of the permafrost and the Arctic Ocean with increased release of methane. Sinkholes discovered in the Yamal Peninsula in Siberia, Russia beginning in July 2014 are believed by Russian researchers to have been caused by methane released due to permafrost thawing. Near the bottom of the first sinkhole, air contained unusually high concentrations of methane, according to tests conducted by the researchers. This hypothesis points to the destabilization of gas hydrates containing huge amounts of methane gas. The thawing of permafrost on the ocean floor is an ongoing process, likely to be exaggerated by the global warming of the world´s oceans. Methane hydrate is leaking in an area of at least 7500 m2. In some areas gas flares extend up to 25 m (82 ft). Prior to their research it was proposed that methane was tightly sealed into the permafrost by water depths up to 100 m (330 ft). Close to the shore however, where the permafrost seal tapers to as little as 20 m (66 ft), there are significant amounts of gas leakage. Sea ice, and the cold conditions it sustains, serves to stabilise methane deposits on and near the shoreline, preventing the clathrate breaking down and outgassing methane into the atmosphere, causing further warming. Melting of this ice may release large quantities of methane, a powerful greenhouse gas into the atmosphere, causing further warming in a strong positive feedback cycle. Even with existing levels of warming and melting of the Arctic region, submarine methane releases linked to clathrate breakdown have been discovered, and demonstrated to be leaking into the atmosphere. A 2011 Russian survey off the East Siberian coast found plumes wider than one kilometer releasing methane directly into the atmosphere. According to monitoring carried out in 2003/2004 by Shakhova et al., the surface layer of shelf water in the East Siberian Sea and Laptev Sea was supersaturated up to 2500% relative to then present average atmospheric methane content of 1.85 ppm. Anomalously high concentrations (up to 154 nM or 4400% supersaturation) of dissolved methane in the bottom layer of shelf water suggest that the bottom layer is somehow affected by near-bottom sources. Considering the possible formation mechanisms of such plumes, their studies indicated thermoabrasion and the effects of shallow gas or gas hydrates release. Research in 2008 in the Siberian Arctic has shown clathrate-derived methane being released through perforations in the seabed permafrost. The climatic effects of a potential release of methane from global ocean clathrates may be significant on timescales of 1–100 thousand years, depending on the water temperature. ^ Bloom, A. A.; Palmer, P. I.; Fraser, A.; Reay, D. S.; Frankenberg, C. (2010). "Large-Scale Controls of Methanogenesis Inferred from Methane and Gravity Spaceborne Data". Science. 327 (5963): 322–325. Bibcode:2010Sci...327..322B. doi:10.1126/science.1175176. PMID 20075250. ^ Walter, K. M.; Chanton, J. P.; Chapin, F. S.; Schuur, E. A. G.; Zimov, S. A. (2008). "Methane production and bubble emissions from arctic lakes: Isotopic implications for source pathways and ages". Journal of Geophysical Research. 113: G00A08. Bibcode:2008JGRG..11300A08W. doi:10.1029/2007JG000569. ^ a b Zimov, Sa; Schuur, Ea; Chapin, Fs 3Rd (Jun 2006). "Climate change. Permafrost and the global carbon budget". Science. 312 (5780): 1612–3. doi:10.1126/science.1128908. ISSN 0036-8075. PMID 16778046. ^ a b c Shakhova, Natalia (2005). "The distribution of methane on the Siberian Arctic shelves: Implications for the marine methane cycle". Geophysical Research Letters. 32 (9): L09601. Bibcode:2005GeoRL..32.9601S. doi:10.1029/2005GL022751. ^ a b c Shakhova, Natalia; Semiletov, Igor (2007). "Methane release and coastal environment in the East Siberian Arctic shelf". Journal of Marine Systems. 66 (1–4): 227–243. Bibcode:2007JMS....66..227S. CiteSeerX 10.1.1.371.4677. doi:10.1016/j.jmarsys.2006.06.006. ^ N. E. Shakhova; I. P. Semiletov; A. N. Salyuk; N. N. Bel’cheva; D. A. Kosmach (2007). "Methane Anomalies in the Near-Water Atmospheric Layer above the Shelf of East Siberian Arctic Shelf". Doklady Earth Sciences. 415 (5): 764–768. Bibcode:2007DokES.415..764S. doi:10.1134/S1028334X07050236. ^ Torn, M.; Chapiniii, F. (1993). "Environmental and biotic controls over methane flux from Arctic tundra". Chemosphere. 26 (1–4): 357–368. Bibcode:1993Chmsp..26..357T. doi:10.1016/0045-6535(93)90431-4. ^ Whalen, S. C.; Reeburgh, W. S. (1990). "Consumption of atmospheric methane by tundra soils". Nature. 346 (6280): 160–162. Bibcode:1990Natur.346..160W. doi:10.1038/346160a0. ^ a b "Twice as Much Methane Escaping Arctic Seafloor". Retrieved 2015-07-12. ^ Walter, Km; Zimov, Sa; Chanton, Jp; Verbyla, D; Chapin, Fs 3Rd (Sep 2006). "Methane bubbling from Siberian thaw lakes as a positive feedback to climate warming". Nature. 443 (7107): 71–5. Bibcode:2006Natur.443...71W. doi:10.1038/nature05040. ISSN 0028-0836. PMID 16957728. ^ Shakhova N.; Semiletov I.; Salyuk A.; Kosmach D.; Bel'cheva N. (2007). "Methane release on the Arctic East Siberian shelf" (PDF). Geophysical Research Abstracts. 9: 01071. ^ CCSP, 2008: Abrupt Climate Change. A report by the U.S. Climate Change Science Program and the Subcommittee on Global Change Research Archived May 4, 2013, at the Wayback Machine (Clark, P.U., A.J. Weaver (coordinating lead authors), E. Brook, E.R. Cook, T.L. Delworth, and K. Steffen (chapter lead authors)). U.S. Geological Survey, Reston, VA, 459 pp. ^ "Methane Emissions in Arctic Cold Season Higher Than Expected". JPL. 2015. ^ Hong, Wei-Li, et al. "Seepage from an arctic shallow marine gas hydrate reservoir is insensitive to momentary ocean warming." Nature Communications 8 (2017): 15745. ^ CAGE (August 23, 2017). "Study finds hydrate gun hypothesis unlikely". Phys.org. ^ Wallmann, K., Riedel, M., Hong, W.L., Patton, H., Hubbard, A., Pape, T., Hsu, C.W., Schmidt, C., Johnson, J.E., Torres, M.E. and Andreassen, K., 2018. Gas hydrate dissociation off Svalbard induced by isostatic rebound rather than global warming. Nature Communications, 9(1), p.83. ^ "Melting Arctic sea ice accelerates methane emissions". ScienceDaily. 2015. ^ Markus Dieser; Erik L J E Broemsen; Karen A Cameron; Gary M King; Amanda Achberger; Kyla Choquette; Birgit Hagedorn; Ron Sletten; Karen Junge & Brent C Christner (2014). "Molecular and biogeochemical evidence for methane cycling beneath the western margin of the Greenland Ice Sheet". The ISME Journal. 8 (11): 2305–2316. doi:10.1038/ismej.2014.59. PMC 4992074. PMID 24739624. ^ Alexey Portnov; Sunil Vadakkepuliyambatta; Jürgen Mienert & Alun Hubbard (2016). "Ice-sheet-driven methane storage and release in the Arctic". Nature Communications. 7: 10314. Bibcode:2016NatCo...710314P. doi:10.1038/ncomms10314. PMC 4729839. PMID 26739497. ^ Susan Q. Stranahan (30 Oct 2008). "Melting Arctic Ocean Raises Threat of 'Methane Time Bomb'". Yale Environment 360. Yale School of Forestry and Environmental Studies. Archived from the original on 4 February 2009. Retrieved 14 May 2009. ^ a b c d "Permafrost Threatened by Rapid Retreat of Arctic Sea Ice, NCAR Study Finds". University Corporation for Atmospheric Research. 2008-06-10. Archived from the original on 2010-01-18. Retrieved 2008-06-11. ^ Lawrence, David M.; Slater, Andrew G.; Tomas, Robert A.; Holland, Marika M.; Deser, Clara (2008). "Accelerated Arctic land warming and permafrost degradation during rapid sea ice loss" (PDF). Geophysical Research Letters. 35 (11): L11506. Bibcode:2008GeoRL..3511506L. doi:10.1029/2008GL033985. Archived from the original (PDF) on 2009-03-20. ^ Mason Inman (19 December 2008). "Methane Bubbling Up From Undersea Permafrost?". National Geographic News. Retrieved 14 May 2009. ^ Pearce, Fred (28 March 2009). "Arctic Meltdown is a Threat to Humanity". New Scientist. Reed Business Information. Archived from the original on 29 March 2009. Retrieved 2009-03-29. ^ Moskvitch, Katia (2014). "Mysterious Siberian crater attributed to methane". Nature. doi:10.1038/nature.2014.15649. ^ Steve Connor (23 September 2008). "Exclusive: The methane time bomb". The Independent. Archived from the original on 3 April 2009. Retrieved 14 May 2009. ^ Volker Mrasek (17 April 2008). "A Storehouse of Greenhouse Gases Is Opening in Siberia". Spiegel Online. Archived from the original on 1 May 2009. Retrieved 14 May 2009. ^ Marshall, Michael. "As Arctic Ocean warms, megatonnes of methane bubble up". ^ Carey, John (2012). "Global Warming: Faster Than Expected?". Scientific American. 307 (5): 50–55. doi:10.1038/scientificamerican1112-50. ^ Fischetti, Mark. "Earth May Be Warming Even Faster Than Expected [Slide Show]". ^ Paull, Charles K.; Ussler, William; Dallimore, Scott R.; Blasco, Steve M.; Lorenson, Thomas D.; Melling, Humfrey; Medioli, Barbara E.; Nixon, F. Mark; McLaughlin, Fiona A. (2007). "Origin of pingo-like features on the Beaufort Sea shelf and their possible relationship to decomposing methane gas hydrates". Geophysical Research Letters. 34 (1): L01603. Bibcode:2007GeoRL..3401603P. doi:10.1029/2006GL027977. ^ Archer, David; Buffett, Bruce (2005). "Time-dependent response of the global ocean clathrate reservoir to climatic and anthropogenic forcing" (PDF). Geochemistry, Geophysics, Geosystems – G3. 6 (3): 1–13. Bibcode:2005GGG.....603002A. doi:10.1029/2004GC000854. Retrieved 2009-05-15. This page was last edited on 21 April 2019, at 21:40 (UTC).